If you have never tried Kerson fruits, now would be a good time to start. This fruit is characterized by numerous health benefits and including it into your diet would be beneficial for your overall health. If you already eat and like this fruit (or its leaves) this article will teach you why you should continue to eat it, and if you have never eaten Kerson fruit in this article you will learn why you should get up, go to the nearest store and buy some. You can eat Kerson fruits, or make tea of its leaves, in order to relieve pain. This fruit is known for its tendency to block pain receptors which make it a natural pain reliever. If you struggle with high blood pressure, you can eat Kerson fruits or make a tea of Kerson fruit leaves. This will relax the blood vessels and lead to improving your blood flow. Then, your blood pressure will be lowered. Also, if you’re a diabetic and you like to eat something sweet, then why wouldn’t you eat Kerson fruit? It is delicious and also lowers your blood sugar. Due to the fact that these cherry-looking fruits contain phosphorus and calcium, this fruit is excellent for strengthening your bones. High level of vitamins and minerals make this fruit perfect for people who are anemic, also for people who want to increase their vitality, and for people whose immunity is weak. Eating this fruit which is rich in vitamins and minerals will improve your immune system. Munching this fruit can help relieve abdominal cramps. Or you can make tea using the leaves. This fruit is excellent for all people who suffer from severe headaches. Therefore, if you’re one of these people, when you have a severe headache that doesn’t let you concentrate on your work; Kerson fruit can help with that. For centuries, people have used Kerson fruit to relieve the pain linked with gout. It was assumed that eating between 9 and 12 every day treats the pain. Kerson fruit even helps with cold. It has an anti-inflammation purpose, it is good for swellings, fever etc. The fruit is good for your heart. Due to its anti-inflammation characteristic, as mentioned above, it is beneficial for the bloodstream, and prevents heart attack. Tea made of Kerson fruit leaves is excellent for treating skin wounds or rashes. Due to the fact that this fruit has been present throughout the history of tropical and subtropical regions where people used it as medicine, the effects of this fruit have been put on the test. N.D. Mahmood from the Department of Biochemical Science, Faculty of Medicine and Health Sciences at the University Putra Malaysia and team of scientists worked on the review whose purpose was to inspect the traditional uses of Kerson fruit or Muntingia calabura. The team of scientist’s retrieved literature needed for their review from various databases e.g. PubMed, Springer Link, Science Direct etc, they also carried out general web searches using Yahoo and Google. They wanted to gather as many studies and scientific researches as possible in order to compare the results and determine whether Kerson fruit really is beneficial for one’s health. Moreover, researchers behind this review excluded all articles related to ecology and agriculture because the sole purpose for this review was related to health effects. Additionally, references included in the papers they inspected were also investigated by scientists. They wanted to confirm that every fact stated in each study and scientific work was 100% accurate. It is important to mention that review included 36 journals and the oldest published work on this topic comes from 1987. Based on all articles and studies reviewed by scientists the review confirmed the health benefits of Kerson fruit. Researchers concluded that Kerson fruit possesses significant medicinal value. Also, the scientists stress the importance of new studies to be conducted to inspect more health benefits of this fruit in order to help treat some diseases. Is Kerson Fruit Really that Beneficial for Diabetics? 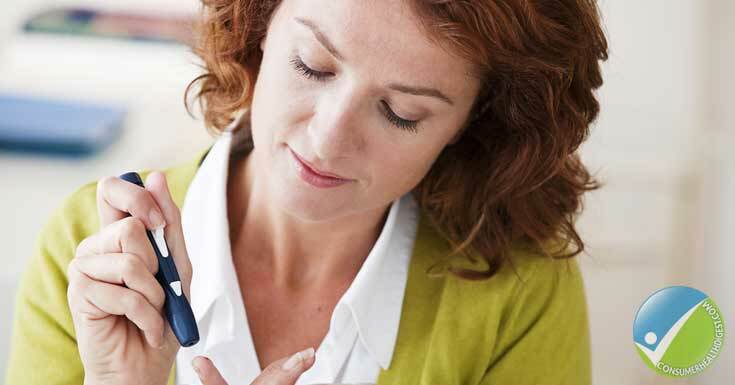 Being diabetic is, most certainly, not easy. The person has to pay attention to their diet and make sure blood sugar level doesn’t go up. Folk’s tale and traditional medicine suggest munching on Kerson fruit, it is sweet and yet lowers blood sugar which makes this fruit perfect for diabetics. However, is that correct? The first scientific report about the benefits of Kerson fruit for diabetics was published in 2011and it was based on the study conducted by Indian academic M. Sridhar. For his study, Sridhar used leaves of Kerson fruit that was collected from Station Ghanpur, Warrangal, Andhra Pradesh, India. They prepared an extract from Kerson fruit’s leaves by crushing them and mixing with the substance for laboratory researches. The prepared two doses: 300mg and 500mg. The researchers monitored the level of serum glucose at 2, 4, 6, and 8 hours after the administration of the extract. The results revealed that both doses of the extract lowered blood sugar after 4 and 8 hours. The second study investigated the effect of 500mg of the extract on OGTT (Oral Glucose Tolerance Test) and the scientists discovered that pre-treatment with this 500mg extract of Kerson fruit’s leaves causes significant reduction in the rise of blood glucose at 1 hour interval. According to the study from 2009, the team of scientists inspected the effects of Kerson fruit and leaves in heart health. They also made their Kerson fruit extract and observed its effects in serum and heart tissues. The team of researchers also monitored the level of uric acid. The results showed that Muntingia calabura decreased the activity of marker enzymes that decrease heart’s health and the level of uric acid was lowered as well. High level of uric acid can lead to high blood pressure, heart disease, and kidney disease. Can Kerson Fruit Help With Gastric Ulcers? One of the most recent studies about the medicinal values of Kerson fruit was conducted in 2012. The lead author was Ibrahim Abdel Aziz Ibrahim and team of researchers from Department of Pharmacology and Toxicology, Faculty of Medicine Umm Al-Qura University, Makkah, Saudi Arabia. Additionally, the study included collaborators from universities in Malaysia. The reason why scientists wanted to inspect the effects of Kerson fruit in treatment of gastric ulcer is because the incidence of this condition increases significantly in last few decades. 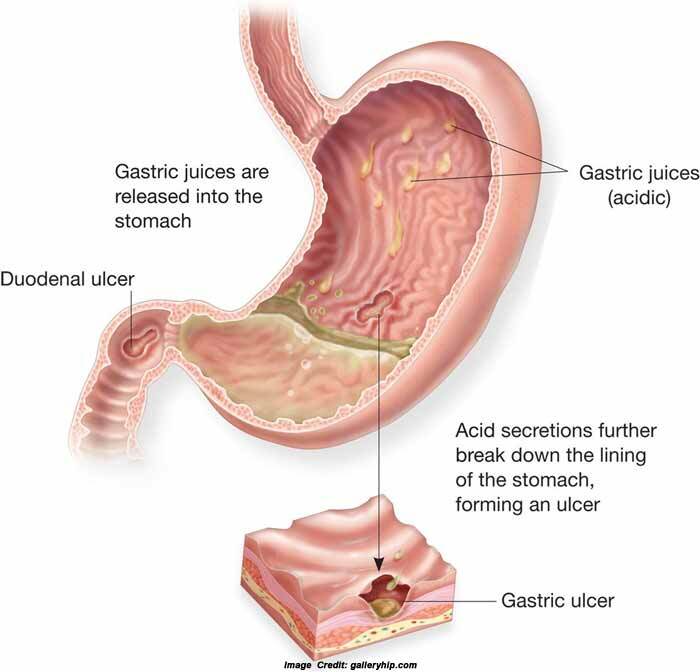 When it comes to gastric ulcers, people usually turn to traditional medicine and try to treat this condition without using medications. Kerson fruit is, according to many cultures, one way to deal with this problem. For this study, scientists used leaves of Kerson fruit. The leaves were obtained from Ethno Resources Sdn Bhd, Malaysia. Researchers powdered dried leaves using the electrical blender. Then, they took 100 grams of the powder they got by blending leaves and soaked it in 500ml of 95% ethanol. The powder and ethanol were left for 3 days in conical flask. After 3 days, researchers filtered the mixture with fine muslin cloth which was followed by the filter paper. Later, the mixture was distilled under the low pressure. Scientists dissolved the dry extract and administered it orally to rats. They administered two different amounts: 250mg and 500mg. Rats were also administered with the absolute ethanol which induced ulcers. In order to make the results of this study reliable and accurate, the researchers used 36 rats (18 females and 18 males). The rats were divided into three groups. Moreover, the animals weren’t fed overnight before the dosing. Also, after the dosing, rats weren’t fed about 3 or 4 hours. However, rats had free access to water. The scientists monitored the rats for 30 minutes after 2, 4, 8, 24 and 48 hours. The process lasted for 14 days. It is important to mention that this research was approved by the ethics committee for experiments on animals of Faculty of Medicine in Malaysia. All rats that were part of this research received human care that was based on Guide for the Care and Use of Laboratory Animals. The results showed that rats which were pre-treated with the extract made of Kerson fruit leaves before the administration of absolute ethanol had reduced areas of formation of gastric ulcers. The scientists concluded that extract suppressed the formation of ulcers. Also gastric mucous production was increased while acidity of gastric content was lowered. Additionally, researchers also discovered that effects of Kerson fruits were comparable to effects of Omeprazole, which is used for treatment of gastric ulcers. It is assumed that benefits of this plant in gastro activity are due to its anti-inflammatory purposes. According to researchers, the ability of Kerson fruit to prevent gastric ulcer formation is due to these anti-inflammatory effects as well. This is why it is highly recommended for people who have gastric ulcers to eat Kerson fruit or consume the leaves by making the tea in order to treat existing ulcers and prevent the formation of new ones. This fruit grows best and near-tropical and tropical environment. Kerson fruit grows in Malaysia, Jamaica, Haiti, Mexico, Philippines, Cuba, South America, Japan, Indonesia, Caribbean, Dominican Republic, and India etc. What is the Name of The Species This Fruit Belongs To? Kerson fruit, or Muntingia calabura, is the species in the genus of Muntingia. Additionally, this fruit is known by many different names e.g. Strawberry tree, Bajelly tree, Singapore cherry, Panama berry, Jamaican cherry, Kerukup Siam (in Malaysia) etc. The Kerson fruit is sweet and tastes like cotton candy. When it’s very ripe, this fruit tastes like blueberry. Children love this fruit and it’s a great way for them to develop the habit of eating fruit instead of sweets that are bad for their health. What makes this Fruit Special? Along with numerous health benefits that we have listed above, Kerson fruit is characterized by the fast growing tree. In less than 2 years it can be 3 meters high. Also, due to warm climates this fruit requires, it can grow all year long. The best thing about planting Kerson fruit is that it doesn’t require too much maintenance. The tree itself isn’t too big and can grow up to 7 or 12 meters. Also, it can succeed in habitat where many other plant species can’t. The tree where Kerson fruit grows thrives in poor soil and it tolerates drought and alkaline and acidic conditions. The first records of this fruit are associated with Central America, India, Indonesia etc, but it was naturalized even in Japan. This fruit is often used to condition the soil and make it tolerable to other plants. Also, it has become a great solution for Malaysia’s forest problem. In India, this fruit is used in urban gardens, because it grows fast and fruits look appealing. This fruit is also popular in Mexico where you can find it on markets. In Malaysia and Indonesia this fruit is common roadside tree and is usually eaten by children because it is easy to reach, but not very common in markets. Kerson fruit has numerous health benefits and is excellent for diabetics, people with weak heart or high blood pressure. It is a great pain reliever and making tea of this fruit’s leaves is just as beneficial as eating the fruit itself. Also, if you live in warm climate, you can plant this fast-growing tree which gives fruits throughout the year and the best thing of all, it doesn’t require too much maintenance. Bottom line, Kerson fruit is extremely healthy and it would be ideal to include it into your diet. Although the effects and medicinal value of this plant have been confirmed in more studies, it is still safe to say that there are no enough researches that inspect all health benefits of this highly important fruit. There should be more studies that will inspect and reveal entire potential of Kerson fruit. Does Your Diet Is Incomplete Without Kerson Fruit?? Read The Study Behind Its Health Benefits And Share Your Experience In Comment Box! !